State have seriously upped their game with the latest addition to their range. The Undefeated is made from 7005 Aluminum, has a carbon fork and looks pretty good. 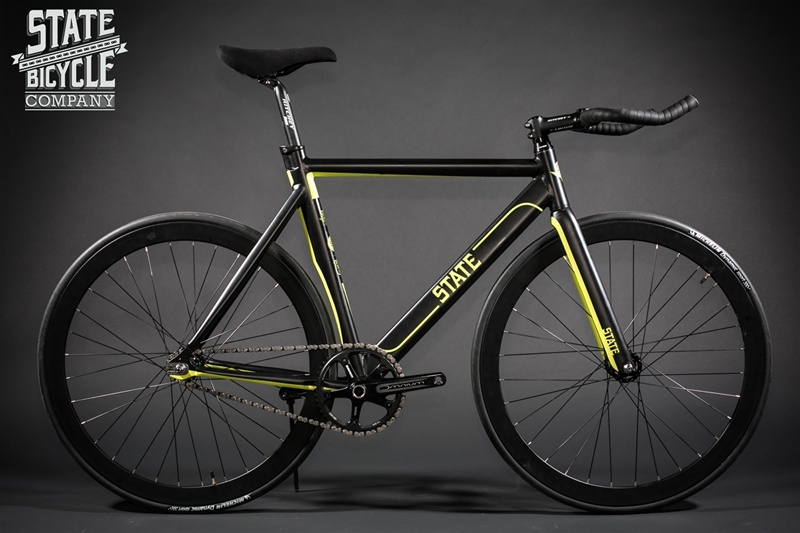 State started out making commuter/fixie bikes, that to be honest were not really that impressive. Though more recently have upped their game, the Contender showed the world that they could design and produce a decent track bike and the Undefeated goes even further. States cycle team have been killing it in a lot of races and I look forward to seeing what they have in store for the future.